This is s beautiful painting Eileen! 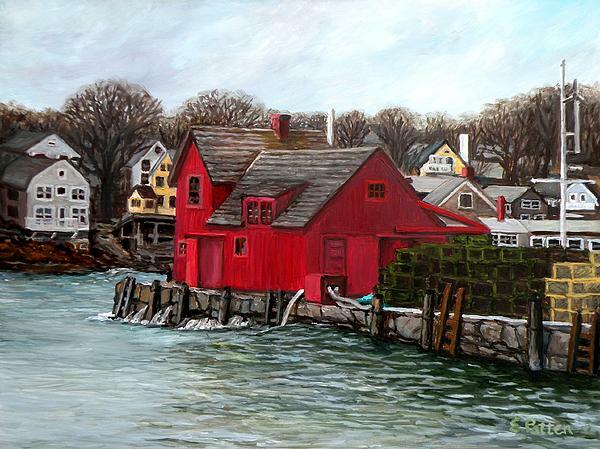 I have never been to Rockport, but now I want to go! Like this a lot, the colors, the movement of the swells, evokes good vibs! 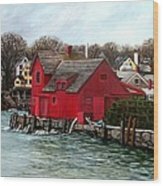 Eileen -- this is a wonderful Oil --beautiful!! This beautiful painting brings back happy memories of a wonderful holiday! I recognize this iconic site - wonderfully rendered in your pretty oil painting. A charming scene. 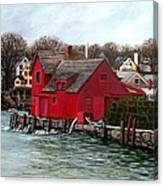 Congratulations on your 1st place win in the recent Red House Landscape contest. 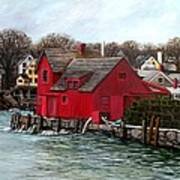 Lovely work, congrats on placing 1st in the Red House Contest. 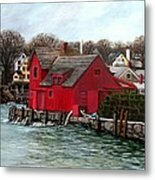 An early Spring storm brings high water and swells into the harbor at Rockport, Massachusetts by Motif #1... the famous, red fish shack that is one of the world's most painted images.